Indie Games To Rule 2014? This year, I’ve made a New Year’s gaming resolution to play more more indie games in 2014. Up until recently, if it didn’t come in a box, it didn’t really hit my radar. I don’t play games on my smartphone and until I got my ultrabook, I didn’t play anything on PC, unless it was an MMORPG. However, games like Rain, Limbo and Morphopolis have won me over with their beautiful, stylised graphics and minimalist gameplay. And I like the fact that indie games aren’t sprawling life eaters. I can play them in a weekend and then get back to writing my book. So for me, 2014 will be year of the indie game, but it could be going that way for the industry too. The year 2013 saw more high profile crowdfunding projects make their target and sometimes much more. We also games that were funded the year before, finally being released, proving that it could be a viable source of finance for developers, as well as a worthy form of investment for fans. 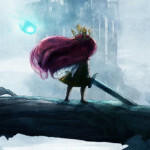 Kickstarter games gained over $57 million in pledges, which is an increase of 30 percent, compared to the 2012 total. It looks like crowdfunding continues to gather pace, rather than fall on its face, as some predicted. The console market is shrinking, as a result of the plethora of new ways to play games. 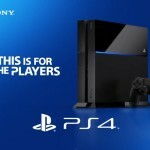 However, the record-breaking launch of both the PS4 and the Xbox One, confirm that there is still a demand for consoles and the blockbuster style experiences they can deliver. But the rise of the indie game market means the big publishers and console manufacturers are scrambling over themselves to woo the arthouse development community. This generation will see more quirky titles from small studios, supported by big publishers. sold 150,000 copies in its first two weeks, which is no mean feat. Notably, both games aren’t even finished yet. Huh!? Yup, the latest thing in the world of gaming is, selling your game before it’s completely developed. I suppose, you could argue that MMOGs have always done this. 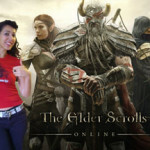 Players would get Beta access and then at launch, the game is undergoing constant improvements. But the new world order is different. Crowdfunding, of course, asks gamers to pay for a game that is often nothing more than a concept. It’s a leap of faith. The success of many Kickstarter campaigns shows that it’s a leap many gamers are willing to take. But then what happens? Well the trend seems to be heading towards the Early Access model and Season Passes. If you buy Early Access, you’re basically paying to be an alpha or beta player. You get to play the game, glitches and all. 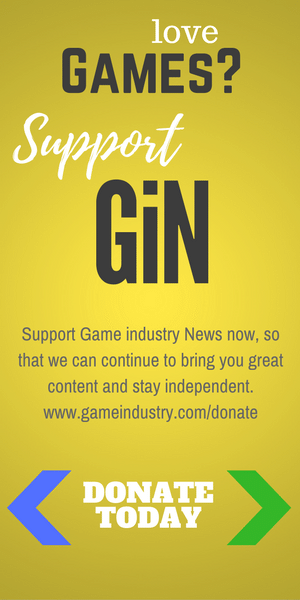 The benefit is, you get to play it straight away, your feedback can help shape the game, plus you automatically get full access to the finished game. And guess what? Sony Online Entertainment (SOE) is one of the first major players to see the benefits for publishers. EverQuest Next Landmark comes with a package called the Explorer Pack, which essentially asks players to pay $59.99 to gain access to the alpha and then it’s $20 for beta access. Yes, that’s right, testing a game is now a privilege you have to pay for. I see this as the start of things to come. Paying for unfinished content is the unwitting result of the success of crowdfunding. Big publishers can clearly see that gamers are willing to pay for access to a game, even if it’s not even in development yet. It could be argued that these gamers are funding indie titles that may not otherwise get the backing they need, which means they may not do the same for one of the big AAA titles. It could also be argued that PC gamers are different to console gamers. This means it’s unlikely that the next Call of Duty will feature Early Access as part of its business model. I say, don’t be so sure. In the last week, Ubisoft announced Ghost Recon Online for Steam Early Access. I’m just saying, don’t be surprised if the big publishers start selling tickets to play unfinished content. If they do, it will certainly leave a nasty taste in my mouth. Beta testing MMOs is a fun way to get to a game early and the best bit is it’s free and you feel like you’re helping the team out. But monetise that relationship and you risk losing fans. I guess with the big bucks involved, it’s worth the risk. On the other side of the table, small developers, such as the team behind Broken Age trailer are going for a Season Pass. This means the game comes in stages and Season Pass holders pay in advance and then gain access to all the following content. Broken Age is broken into two parts, so the team has decided to skip its original plans for Early Access. As Act I is finished, it’s now available to its backers, with ACT II to follow, when it’s finished. 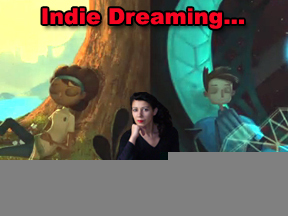 When the whole thing is finished, Broken Age will be available to buy like any other game. So 2014 is going to be the year I take a serious look at the indie gaming scene, it also looks set to be the year that indies shape the way we pay for games. Are you prepared to pay for Early Access or a Season Pass for your favourite AAA title?